3 Bedroom Flat For Sale in Redruth for Offers in excess of £270,000. 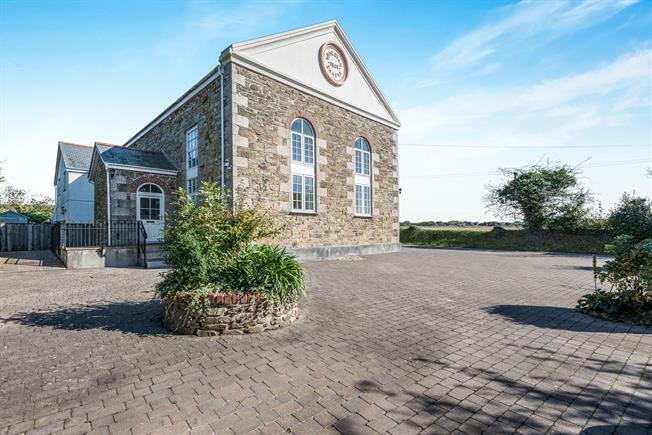 With granite quoins and granite steps this property, a former Wesleyan Chapel dating from 1861, has character. The first-floor apartment, with elevated views across open countryside, forms part of a conversion project carried out in 2006. The work has been carried out to a particularly high standard and has resulted in a stunning, spacious, light and airy apartment. Two bedrooms have en-suite facilities and the third bedroom can easily be used as a study, if required. The lounge enjoys a dual aspect with large, recessed windows from floor level, making the room very light and airy. The well-equipped kitchen/diner has a range of good quality fitted units and also benefits from a dual aspect, with large windows. The windows are all double glazed; heating and hot water is via an oil-fired combination boiler to radiators in each room. To the outside, there is a shared courtyard with communal, landscaped gardens. The property has allocated parking for two vehicles immediately in front of the entrance, and an enclosed private patio area to the side of the property. We consider that this apartment is really special and offers high-quality accommodation in a lovely setting. It is certainly worthy of early viewing. Spacious and well-appointed with dual-aspect double glazed, multi-pane window to side with views across farmland to Carn Brea and large, traditional arched window to front. These windows are recessed, giving extra space in the room. Engineered wood flooring, coved ceiling, two radiators and inset ceiling spotlights. Panelled door to hallway. Recessed multi-pane double glazed window to the side with good views across fields towards Carn Brea. Large built-in two door storage cupboard with smaller two-door cupboard above. Radiator and coved ceiling. With a white close coupled WC, pedestal wash hand basin, ceramic tiles to dado height, extractor fan, shaver point and radiator. Coved ceiling and tiled floor. Well-fitted with a suite comprising panelled bath with Mira Sport electric shower over and glass shower screen. Close-coupled WC, pedestal wash hand basin, ceramic tiling to dado height, mirror-fronted bathroom cabinet and stainless-steel towel radiator. Vinyl tiled floor, coved ceiling and extractor fan. Well-fitted with large, glazed shower cubicle, close-coupled WC, wash basin set into vanity cabinet with integral cupboards and mirror. Plumbed shower. Extensive ceramic tiling to walls, vinyl tiled floor, coved ceiling and extractor fan. Stainless steel towel rail. Substantial loft space spanning the length of the property. Loft is fully boarded and access is via a retractable ladder. Chapel House is approached via a private entrance off the road which leads into a communal courtyard with allocated parking. The property has allocated parking for two vehicles at the side of the Chapel, adjacent to the front door. There is a paved and enclosed private space at the side of the property with an outside tap and ample room for a storage shed. A bunded oil tank is located within the courtyard. It is noted that this leasehold property benefits from a 999-year lease running from 2006. 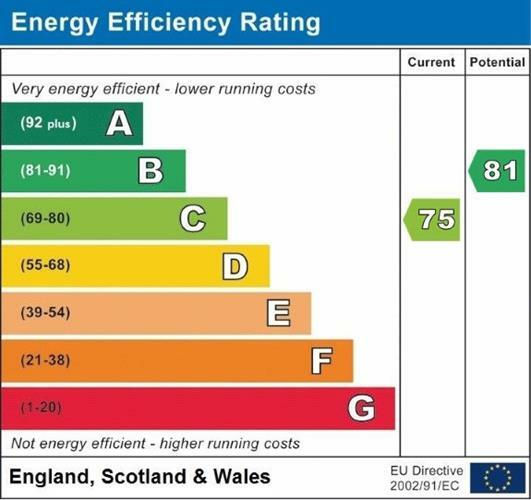 The ground rent is currently £10 per year with maintenance charges (which include insurance of the building) of £1000.00 per annum.